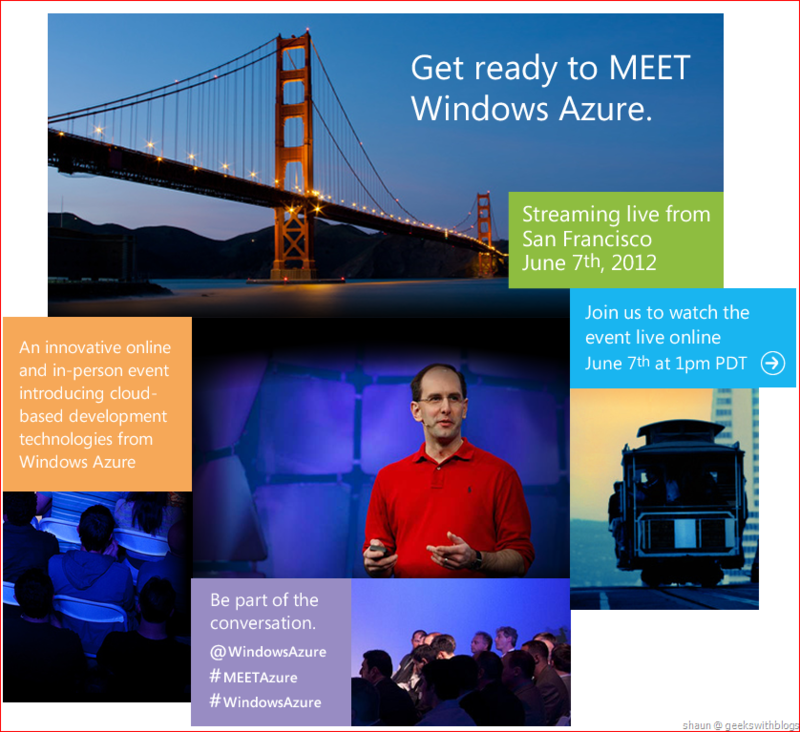 Microsoft had just released a new website http://www.meetwindowsazure.com/ which announced an outstanding event named “MEET Windows Azure”. There will be some awesome new features and releases being published around the Windows Azure Platform, the cloud computing platform and cloud-based technologies Microsoft offers. From what I know, this might be the biggest innovation in Windows Azure till now. The event will be hosted at 1pm PDT, June 7th at the Madrone Studio in San Francisco with limited sites. But it will opened to everyone who is interested in through the live online. If you are willing to join the live stream, like me, go to http://register.meetwindowsazure.com/ to register as soon as possible.